Bupa’s Balcarres Care Home, in Dundee, has helped residents to keep their minds active by installing Wi-Fi – allowing them to use the latest devices to play games and puzzles. The Bupa care home recently invested in a range of digital devices including iPads and a Hudl, helping residents to stay alert by using brain training exercises and games such as Scrabble and Sudoku. The tablets have also allowed residents to keep in touch with far away friends and family via platforms such as Skype and Face Time. Lynn McLean, Manager at Bupa’s Balcarres Care Home, said: “At Bupa we believe keeping residents mentally active is just as important as keeping them physically active. “Using technology can definitely help with this, which is why we encourage our residents to use their iPads, laptops and even games consoles. 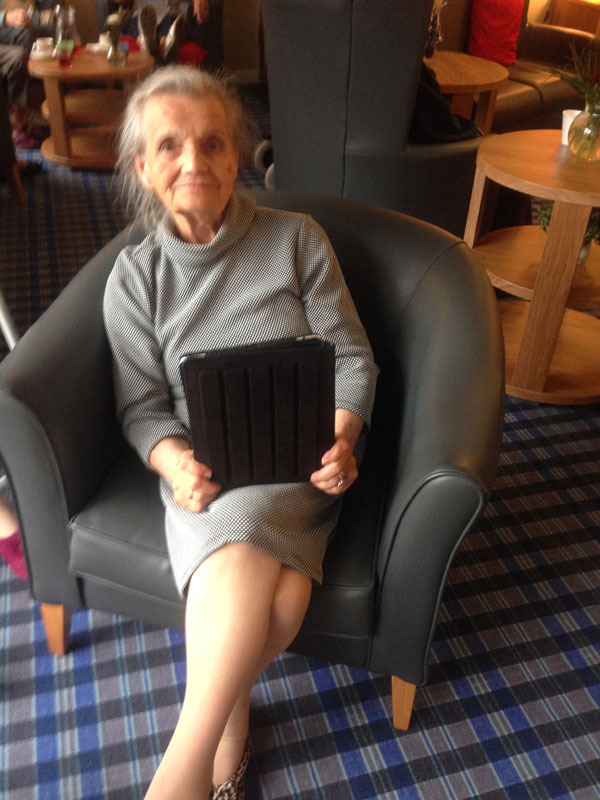 “At the home we have tablets including an iPad and a Hudl which residents can use to complete crosswords and word searches, helping to stimulate their minds to focus on certain tasks. “We also have residents who use their own laptops and tablets to access Skype and stay in touch with family members who live abroad. Balcarres Care Home is also installing Wi-Fi throughout the entire building so that residents can access the internet in the comfort of their own rooms. Lynn added: “This is good news for residents and their families. “Making Wi-Fi available throughout the building will mean residents can access the internet in the comfort of their own rooms, which will make the likes of Skyping much easier.